This post is about why I chose 'The Explorer of Miracles' as the new name of my Blog, that too a year after I started it. An year ago, in 2012, my sister, Amrita, a keen Blogger - http://amritasabat.blogspot.in/, wondered why did I still not have a Blog! Her take was that- As someone who had got her stories published in Tinkle magazine way back in school and poems, articles and contributions published in leading magazines and newspapers, I should have joined in the Blogging bandwagon since inception! Anyway, better late than never! It was she, who signed me up for my very own Blog! "So, what do you want to name it? ", she asked. "APNE HATH JAGANNATH", I answered. I realized that she was the epitome of patience and my serious consultant, who had all the time in the world for me! Though she hadn't asked me for an explanation why I had chosen this phrase, I still went ahead doing just that thinking it's my moral obligation! "I want Lord Jagannath to feature in my Blog's name. I would like to start out with His blessings." 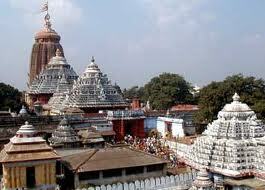 Lord Jagannath is the deity of Sri Jagannath Temple at Puri, Odisha, India. 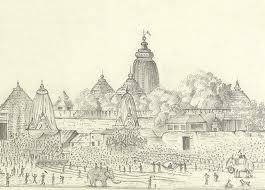 There are many Sri Jagannath temples now dedicated to Him. However, His Temple at Puri is an important pilgrimage destination for Hindus and is a part of the Char Dham pilgrimages expected to be covered by a Hindu in one's lifetime. The Sri Jagannath temple was built in the 11th century by King Anantavarman Chodaganga Deva who belonged to the Eastern Ganga dynasty. Lord Jagannath literally means "Lord of the Universe." His name is a combination of the Sanskrit words Jagat (Universe) and Nath (Lord of). The Odiya words "Jagati" (ଜଗତି - means an elevated platform or "Ratnabedi" on which the wooden form of Jagannatha, Balabhadra and Subhadra are worshiped on or the temple or its precincts) and "Natha" (ନାଥ - means "Lord") give rise to "Jagannatha." Lord Jagannath has paramount significance not only in Odisha, but in India and the World. His annual visit to his aunt's place, along with his elder brother, Lord Balabhadra & younger sister, Devi Subhadra, is celebrated globally as the Rath Yatra or Chariot festival. The three main temple deities are out on a trip/procession on bright, elaborately designed Chariots. 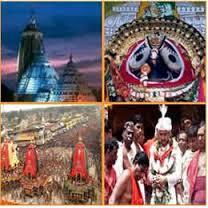 Since ancient times, Rath Yatra has been associated with intense religious fervour. It's a unifying festival that surpasses all barriers. How many Gods can manage such annual stepping out of the Temple in style & reaching out to devotees, irrespective of their race, gender, caste, creed, religion, skin-colour, nationalities...? To me, "APNE HATH JAGANNATH" means that "Lord Jagannath is in my own hand(s)." It is said- "God helps those who help themselves." Our hands are our instruments that we can use with the Lord's blessings to bring about positive change and developments in our lives as well as in the world at large. We feel empowered as we have the force, the power with us. My Blog's Name rocks! She entered the details and asked me to fill in the Blog description. I wrote that I believe in change, action, ability, responsibility, success, winning... pretty much what my Blog description still holds. Thanks to her, my Blog was put up on cyberspace for everyone to stop by to read it and to leave their cyber-trace! I am extremely grateful to her for that. May God bless her! Thank you Amrita! Yet another addition to the list of things I'm grateful for! Nearly a year later, when I shared the link of my now-popular post on the movie Bhaag Milkha Bhaag- http://www.anitaexplorer.blogspot.in/2013/07/bhaag-milkha-bhaag-25-lessons.html with all in Twitter last month, one of my Twitter-buddies, Sandeep Chanda, expressed surprise that why have I chosen such a Blog name! He asked me if I was aware what my Blog's name implied. I shared my point of view. However, he shared a link with me that describes "Apna Haath Jagannath" as a derogatory slang that is used in some parts of India to indicate- "Masturbation." I was furious to learn about this. Who is the person responsible for this? How dare anyone do this? Why did anyone distort the meaning of what should and could have been a well-meaning phrase? Why insult the Lord's name? Surely, there are many words that could have served the purpose? Already, there's an English word- "Juggernaut" that doesn't exactly have flattering descriptions. 1. Something, such as a belief or institution, that elicits blind and destructive devotion or to which people are ruthlessly sacrificed. 2. An overwhelming, advancing force that crushes or seems to crush everything in its path: "It doesn't assume that people need necessarily remain passive when confronted by what appears to be the juggernaut of history" (Christopher Lehmann-Haupt). 3. Juggernaut Used as a title for the Hindu deity Krishna. [Hindi jagann th, title of Krishna, from Sanskrit jagann tha , lord of the world : jagat, moving, the world (from earlier present participle of jig ti, he goes; see gw - in Indo-European roots) + n tha , lord (from n thate, he helps, protects). Senses 1 and 2, from the fact that worshipers have thrown themselves under the wheels of a huge car or wagon on which the idol of Krishna was drawn in an annual procession at Puri in east-central India.] "
It is so unfair that Lord Jagannath got associated with this English word. Rath Yatra has been ceremoniously observed for centuries. Just because some Englishmen had such poor understanding as is evident from the above dictionary definitions, they presented Lord Jagannath in poor light. Further, the Juggernaut (Cain Marko) is also a fictional character that appears in publications published by Marvel Comics. I changed the name of my first ever post- http://anitaexplorer.blogspot.in/2012/08/apne-hath-jagannath.html from "Apne Hath Jagannath"; the heading now reads- "Jagannath Technology For All." Perhaps, that's why no editor had carried it out in any of the newspapers I sent it for consideration for publication! After getting information from Sandeep, I immediately changed my Blog's name before his suggestion to do so! Thank you again, Sandeep! Rath Yatra celebrations were on and I chose "Jagannath Swami, Nayana Pathagami." Translated into English this means, "Lord of the Universe, kindly be visible unto me." I conveyed this to both my hubby and my sister. The former said he was aware of the slang, while the latter had no clue and got enlightened like me! I requested everyone to let me know if anything is amiss henceforth, including to my hubby, who kept this info away from me! I learnt that our knowledge is limited and there are many things that we do not know. The same term may mean different things to different people. "One man's meat is another man's poison". People may distort good terms for their sadistic pleasures. It is unfair, but is so prevalent. Learning channels must be kept open for information exchange! I have now changed my Blog's name yet again! "THE EXPLORER OF MIRACLES" reflects the 'Explorer' in me who loves to encounter 'Miracles'. Lord Jagannath has a big role to play for that! 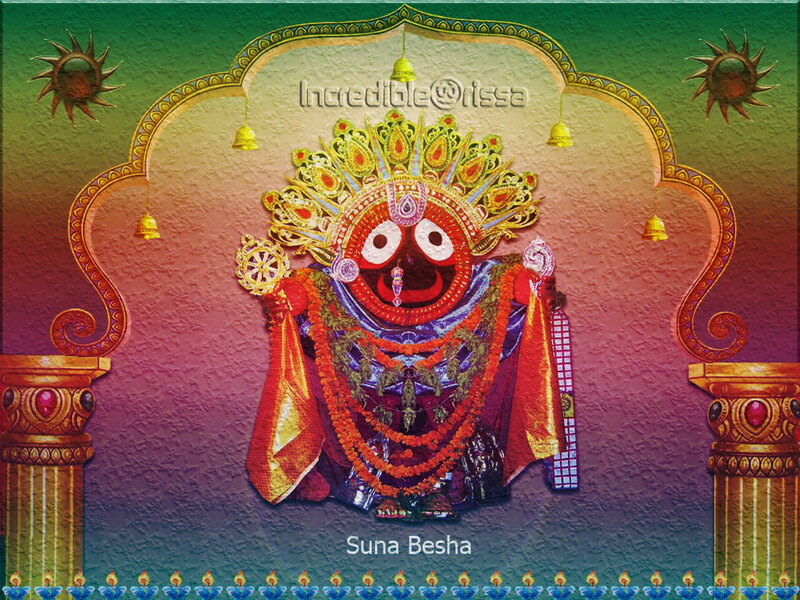 I know by Lord Jagannath's grace, all will be well & I'll get to Explore my share of Miracles! It is sad that some sick people don't even spare the name of God for their selfish motives. This post is an attempt to present my views. I am glad I could share after you shared! Nicely written remonstrated lines.Really feel people need to change their mind & perceptions.Afterall its always in the mind ! explorer of miracles sounds good. rhymes well. gets instant atttention too. Mr. Mathai, Grateful for your comments. Thanks for appreciating my new Blog name! I'll visit your blog soon! Thanks for sharing. Dear Amrita, No post from me would ever have seen the light of the day had it not been for you...You made me join the Blogging Network! I can't thank you enough for that! Thanks for your wishes. May the Lord bless us all! Welcome to the beautiful journey. That's the beauty of this personal space in cyberspace where we can rule! Your Blog's name is cool!